WhatsApp will be adding free voice calls by mid year for its 465 million users. 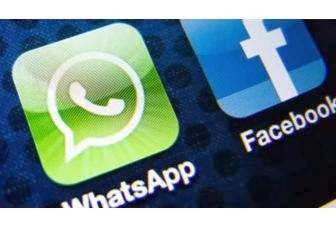 Messaging giant Whatsapp will soon be adding free voice calls for its 465 million users. The update comes shortly after the app was acquired by Facebook in a $19 billion deal. The new service is likely to be available in the second quarter of this year. WhatsApp CEO Jan Koum said at the Mobile World Congress in Barcelona that they want to hit 1 billion users with the new feature. “We are driven by the mission that people should be able to stay in touch anywhere and affordably,” Koum said at the Mobile World Congress industry fair in Barcelona on Monday. The company's move will not sit well with telecom operators. Adding free calls threatens telecom revenue source which has been declining anyway as carriers' tweak tariffs to focus on mobile data instead of calls. Messaging apps like WhatsApp, Viber and WeChat have won over telecom operators' customers in recent years by offering a free option to text messaging. Facebook acquired the messaging app in a $19 billion deal. Koum stated that WhatsApp now has 465 million monthly active users and 330 million daily users, an increase of nearly 15 million users post the Facebook acquisition last week.